Mineral Specimen No. 70810: Elbaite var. Rubellite Tourmaline for sale from Cruzeiro Mine, Santa Maria do Suacui, Minas Gerais, Brazil. Elbaite var. 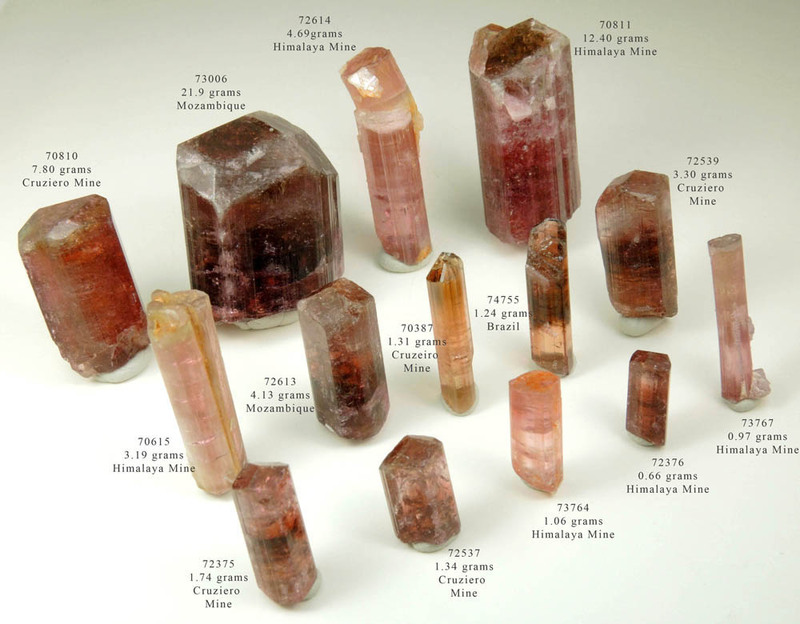 Rubellite Tourmaline for sale from Cruzeiro Mine, Santa Maria do Suacui, Minas Gerais, Brazil. Mineral Species: Elbaite var. Rubellite Tourmaline. Location of mineral deposit: Cruzeiro Mine, Santa Maria do Suacui, Minas Gerais, Brazil. Description: Lustrous transparent pink rubellite tourmaline crystal, the pink gem variety of elbaite tourmaline, with striated prism faces and termination composed of basal pinacoid and second-order pyramidal faces. This crystal has good pink color. The crystal faces are clean and in good condition, the outer edges show minor wear. Weight: 7.80 grams. Overall size of mineral specimen: 23x14x12 mm. © 8 January 2018 John Betts - Fine Minerals, New York , NY - All Rights Reserved.